"It Has Not Yet Revealed All Its Secrets"
VATICAN CITY, FEB. 3, 2007 (Zenit.org).- Here is a translation of an article published last week in the semi-official Vatican newspaper, L'Osservatore Romano, entitled "18 Centuries of History: The Bodmer Papyrus 14-15 (P75) Arrives in the Vatican Apostolic Library." April 30, 1451: With a papal brief Pope Nicholas V establishes a library "pro communi doctorum virorum commodo" (to facilitate the research of scholars). Thus was born the present Vatican Apostolic Library. November 22, 2006: the Bodmer Papyrus 14-15, donated to His Holiness Benedict XVI by the generosity of the Sally and Frank Hanna Family Foundation and the Solidarity Association (U.S.A.), as well as the Mater Verbi/Hanna Papyrus Trust, was given to the Vatican Apostolic Library. During the five and a half centuries that separate these two dates, albeit through different vicissitudes, such as the losses caused by the lansquenets on the occasion of the sack of Rome (1527) or the transfer of the manuscripts to Paris in the Napoleonic age, the Vatican Apostolic Library remained faithful to the mandate it received to enrich, guard and preserve with all care the cultural treasures entrusted to it and to put them at the disposition of qualified scholars. In the meantime, the initial thousand manuscripts by this time numbered 150,000; beside these were placed 300,000 coins and medals, as well as 100,000 stamps and an important collection of antique prints. Among the famous monuments of culture deposited at present in the Vatican Library, mention can be made, in the classic line, of the palimsest of Cicero's De Republica (Vat. lat. 5757), of the Virgilio Vaticano (Vat. lat. 3225), of the Virgilio Romano (Vat. lat. 3867), of the Terenzio Vaticano (Vat. lat. 3868), of important manuscripts of Plato (Vat. gr. 1), of Pindar (Vat. gr. 1312) and of the Tavole Facili of Ptolemy (Vat. gr. 1291), not to mention Menander's most precious palimsest discovered a few years ago in Vast. sir. 623. 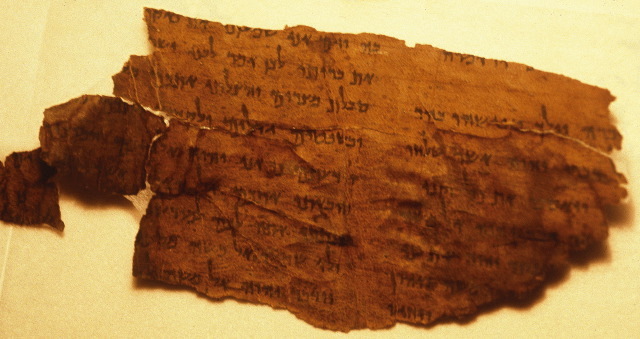 Numbered among the biblical manuscripts is the most ancient testimony known of the two letters of St. Peter (Papyrus Bodmer 8), the so-called "B codex," one of the two surviving Bibles of the 4th century (Vat. gr. 1209) and the "codex Claromontanus" (Vat. lat. 7223) or even one of the most ancient known paleo-Slavic manuscripts (Vat. gr. 2502). And there's lots more on the papyrus itself, which is early and which contained both the Gospel of Luke and the Gospel of John.